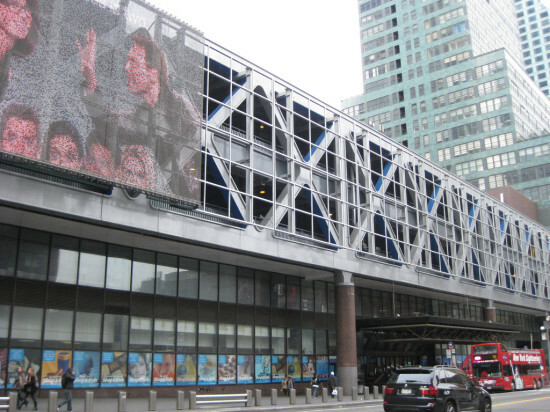 Nobody likes the Port Authority Bus Terminal in Midtown Manhattan. Nobody. And an infusion of $90 million probably won't change that. According to the New York Times, the money, which was approved by the authority last week, will be used for fairly minor improvements including better cell phone service, improved restrooms, and more legible signs. As for an entirely new terminal? That's not happening any time soon. At least not within the next decade. So, for the foreseeable future, commuters are stuck with what the dirty, dark, dated, and crowded terminal over on 42nd Street. 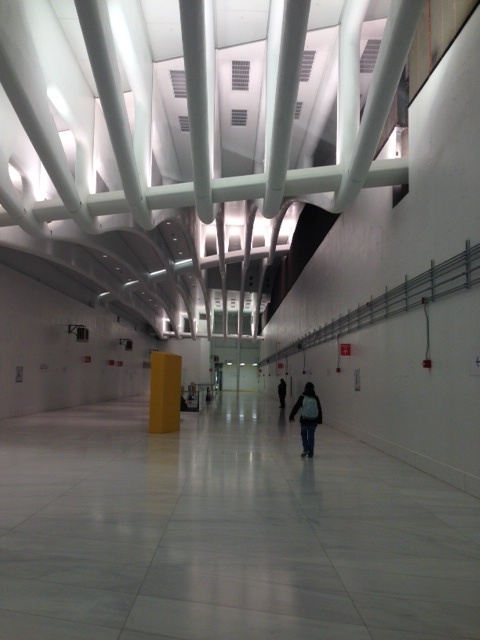 A space that leaves Penn Station looking more like Grand Central. That's not being overly cruel, the Port Authority also thinks the place is a dump. According to the Times, the vice chairman of the authority said the terminal was outdated, “physically, technologically, functionally, in every way that you can imagine.” And that was in a committee meeting, not on Yelp. Fred came into our family life before he joined our office. In late 1972 we moved with our fifteen month-old to an Art Nouveau house in an old suburb. For the first year we watched and learned. The roof needed replacing, the dining room was a racetrack for Jim’s tricycle, and in the yard weeds seemed to grow as we watched. We looked for ways to get house and yard tasks done while we spent our days at the office. Who could be intrigued by this work? Who might accept free board and lodge and grad student hourly rates in return for weeding, pruning, and house maintenance in the summer? Architecture students! We advertised at several schools in early 1975 and Fred arrived for an interview. He was dressed for office work in New York and we wondered how he would do at weeding, but an unruly mop of brown hair reminded us that he had recently been at UC Berkeley. We felt reassured. He joined us that summer as our first “handyperson”—neuter gender: women and men would do the work. Our 39th has just arrived. Over the summer, Fred worked his way into our lives. Our son Jim, when asked at four, “who’s your best friend?” replied “Fwedwic.” At seven he would add that his best friend was 27. Because Bob and I had few family members nearby and because our aunts and uncles had been important to us, I looked for strong characters as surrogate family for Jim. Fred was the first and the relationship lasted all his life. He helped define the job and was one of our best workers. He told us about his recent time at Berkeley and described his friendship with Joe Esherick, whom I had known there. Joe added, when he visited Fred, that he had been in our house before, with his uncle William Esherick, whose sculpture the owners had commissioned. Another Fred UC Berkeley story was of selling homemade hamburgers to charretting fellow students. It was a business with a social dimension—some people got hamburgers for free. Doing good while doing well was a Fred theme. 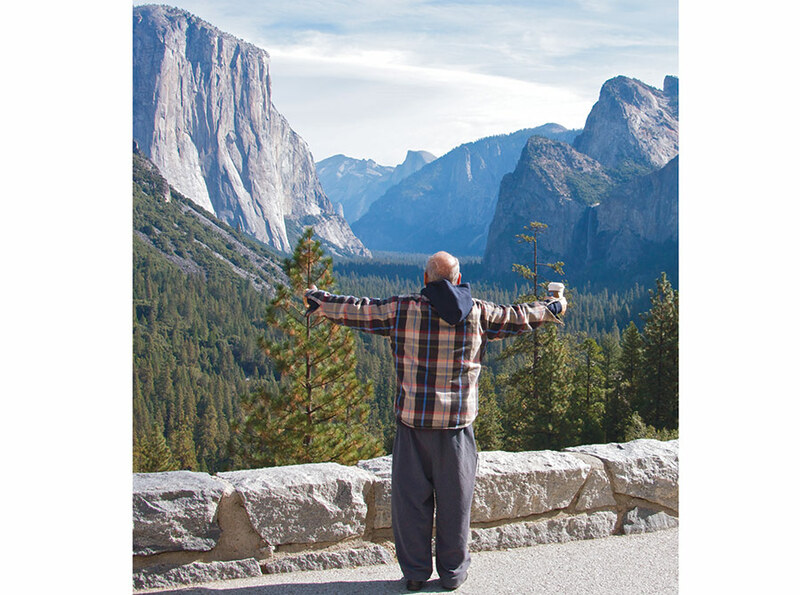 In his summer with us Fred was a laid-back Californian, with a huge zest for life. He spread fun around him and cared very much about friends and work. At summer’s end he returned to Harvard but would visit when he could. One summer my parents arrived bringing four grandchildren and a babysitter, and there was, as well, our second handyperson. Every night those two looked for places to sleep, given the crowd and the heat, and every evening Fred organized a barbeque and cooked dinner. Four more children gained an uncle, and Fred told me that he had found in Jim the little brother he had always wanted. Back at school, he worked part-time with SOM, on a street project in Cambridge. Something took him to San Francisco and, while he was there, I suggested he tape an oral history of an old friend and colleague—really old: he had started teaching at Berkeley in 1911. He had built a house in the Berkeley hills and had found someone “to draw the blue prints of my design,” as he put it. “Who was the architect?” I asked, “Oh a funny old man, you wouldn’t know him–Bernard Maybeck.” I had visited his Maybeck house and remembered well my friend’s stories of life at Berkeley then. The Smithsonian had been taping the more famous dimensions of Charles Seeger’s story, but I felt Fred should catch the parts on architecture, especially as Charles continued with an account, rather weirder, of John Galen Howard. So Fred made the tape. Then life caught up with him and the project was stowed. He told me the tapes were safe among his things, but they should be available for students and scholars. Charles Seeger chatting with Fred Schwartz about Berkeley in the 1910s, what a joy! Fred worked in our office on several inner-city and small-town planning projects, outcomes of our Las Vegas and South Street studies. Fred’s indicative designs for our Princeton CBD project and his perspective drawing of our recommendations for the Miami Beach Deco District, are among the beauties of our office. In these, he collaborated with Bob and me but also with Steve Izenour on the work Steve did best, and he saw Mary Yee, a planner who could do anything, evolving social and economic recommendations for what is now South Beach. These experiences supported his later global work, helping him become a rare architect whose creativity covered design and the intellectual challenges of urbanism. Even rarer, he understood my role as both architect and planner in the office and how the two came together. I think we helped him hone his combat skills, which he occasionally used to support me—at an urban design conference in New York, for example, when he corrected a panelist who called our Miami work “Venturi’s project.” It was, Fred said, “Scott Brown’s project.” The panelist, I forget which New York pooh-bah, had a fit and stalked off the stage, only to return and redirect his stalk. He had walked into a closet. When our Westway project came up, it was clear Fred should be project manager. This meant returning to live in New York. 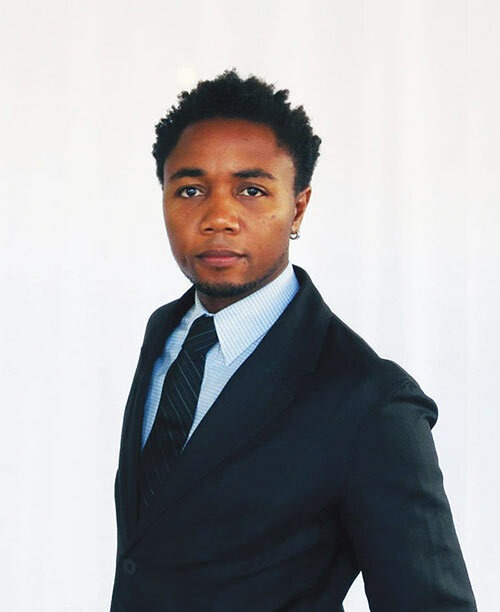 He gave notice at his Philadelphia apartment, then the project was delayed. “Live with us a month or so, Fred, no need for another apartment.” This triggered a year with us at home, expecting to leave from month to month. It also cemented his friendship with Jim. In New York Fred set up our office. Westway involved design at all scales and more work, this time, with Bob who was deeply invested in evolving a water edge geography to meet New York human urban need, but missed striped bass sexual need. It was a wonderful experience while it lasted, but it helped me define “honeypot” projects—ones where private interests are masked as public concerns and no good can come of them. As Westway ended, Fred arrived at our Philadelphia office with a long list of ticked off items and a few left to discuss. “Thank you deeply for all you do” we said, and he replied, “I’m leaving.” After years of practice, I knew we must accept that people would leave. Fred was obviously headed toward a good future and we had to let him go. But this did not alleviate our sadness, or Fred’s, as you could see from his face. Yet he said there would be many ways of working together and there were, most initiated by him. We were all involved with decorative arts designs for Knoll and Swid Powell, applying universals of urbanism and architecture (appropriately, we hoped) to a universe of everyday objects, and “mixing metaphors” to join commonplace and high culture. From these principles we evolved the “Grandmother” fabric, where flowers from an old kitchen tablecloth were overlaid with a standard office stationery pattern. The tablecloth was literally from a grandmother—Fred’s. From age 12 we allowed Jim to travel to New York alone to meet Fred. Only later did I find a map drawn by Fred, showing him how to take the subway on his own to a cool barber that he liked. When Fred went to the American Academy in Rome, we put him in touch with Carolina Vaccaro, whom I first met careening in her walker through her father’s studio, when we worked for him. Now an architect and teacher she widened the circle of “family” around Fred and as they became friends, he renamed himself Schwartzini. Then we sent Jim, age 14. Unknown to the administration, he slept on the floor in Fred’s studio and ate in the kitchen, to the joy of the staff, who adored the towheaded young American, as they had adored Bob when he was a Fellow there. Then word got out. “Where did you go, Jim?” we asked, “To Francois.” And where was that? “At the French Academy.” Our child was moving in elevated circles. “Francois” was Jim’s mispronunciation of Francoise Blanc, a beautiful French architect, friend of Fred and Carolina, who worked in New York and was later a collaborator with us in Toulouse. Fred, Carolina, and Francoise cared for Jim in Rome, and the dynasty continues today into the third generation. At 16 Jim left high school and worked in a pizza parlor. At 18 he announced he was going to New York. “Not on your own,” we said. Well then to Fred. Poor Fred! He owed us one for the year at home but not the presence of a rebellious teenager. Yet he found ways to protect his social life. Meanwhile Jim, whose rebellion subsided among ambitious young professionals, set up Fred’s office computer systems and did the same for several small New York architecture firms. Fred was sine qua non to my “Architecture of Well-being” studio at Harvard, and our firms joined to enter a competition for the Whitehall Ferry Terminal. When we won it we walked together into another honey pot. For this and related reasons we removed ourselves from the project, leaving Fred the architect. We disagreed with his choice to stay and felt that the building, which should have been a bright postage-stamp at the foot of Manhattan, had missed an opportunity. This situation caused tension, but so did much else—architecture is full of them—and we got on with the major opportunities occurring in our lives. Jim kept the communication open. Fred’s project for the World Trade Center, New York’s biggest honey pot, did not win, but Fred’s role in it gave him a mysterious authority. Even without it, something about Fred made people trust him. So he could practice and lecture worldwide. Then we heard that he was sick. Fred did not want it known. His professional life was expanding and though darkness inevitably hung over him this seemed to spur his energy and he took on myriad tasks: New Orleans, airports in India, memorials and commemorations, somber but with a lilt. Some projects, saving the Lieb House, for example, you could call quixotic. Watch the film Fred and Jim made of the move. Fred is bald, tired, no more a laid-back Berkeley student, but a hard-bitten New Yorker. He holds the phone as if it’s part of him. Tracey, his beautiful and brave partner in life and work, is helping. “Well how much insurance do you want?’’ he asks over the phone, “$100,000 in case it falls into the water? It ain’t going to fall into the water.” His passion conveys urgency and New Jersey Government and agencies meet the challenge. Fred was doing God’s work in the nitty-gritty. “I’m good at these things,” he said as he agreed to take on strategizing to change the conditions of the AIA Gold Medal. Our years of sending in our nomination only to have it returned unopened because it was for both of us, might be over now. This was because close on 20,000 petitioners worldwide had asked that the Pritzker prize reconsider their decision to make their award in 1991 to Bob without me. Perhaps the tide was turning. Fred set about canvassing state AIA chapters, finding a majority at the edges rather than the center, and when the vote came in they had gone for the change. Up to two people could be awarded so long as the creativity came from both of them. Fred’s strategies had succeeded where other’s equally devoted had not. But we are so grateful to all of them. Fred had worked hard with an equally spirited AIA group that included George Miller, the president of the AIA at the time, and various chapter presidents from across the country. It was his parting gift to me and perhaps the AIA’s to him. I saw him at a small meeting in New York last summer. His beard was very long and grey and he wore a small black pill-box cap, Moorish in tone. He looked like an Old Testament prophet. After that we spoke about strategy by phone. Then I merely said, “Just float. Think of all the good you’ve done.” Then I left messages from Bob and me. In the last week Jim was with them much of the time, for Fred and to help Tracey sort things out. I hope there’s a corner in heaven where Fred can follow his interest in how some people beset by tsunamis manage to live on floodplains. 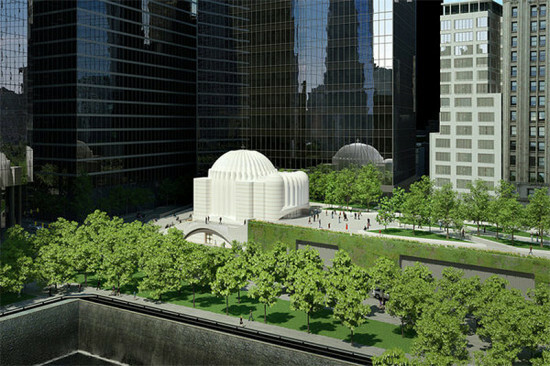 According to a report in the Bergen Record, the Port Authority of New York & New Jersey gave Santiago Calatrava, the renowned Spanish architect whose lust for gold is as vigorous as that of his conquistador forebears, $500,000 for two bridge designs that will not be built and to which Calatrava will retain the copyrights. Sound shady? 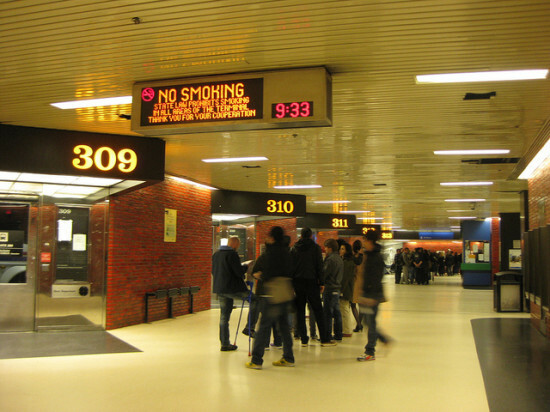 Anyone who has had the opportunity to use the Port Authority Bus Terminal will not be surprised to find out that it is. In 2012, two Port Authority commissioners (say hello to David Steiner and Anthony Sartor, a couple of wise guys who have resigned since the check signing went down) pushed for inclusion of the world-class architect in two of the agency’s bridge projects. 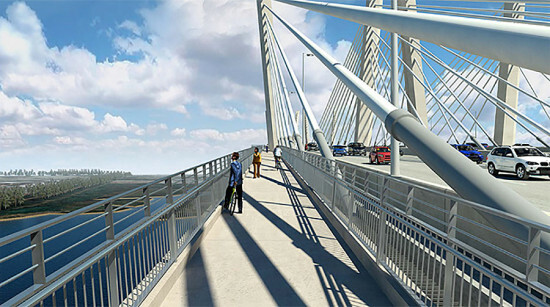 The first, the Goethals Bridge, which connects Elizabeth, New Jersey, and Staten Island, was already years in the making when Steiner brought Calatrava’s plans to the agency. “Beautiful but unusable” was the agency’s verdict. Steiner, however, remained undeterred. Months later, he pushed for Calatrava’s involvement on the Bayonne Bridge. The committee responded in the same way as before. 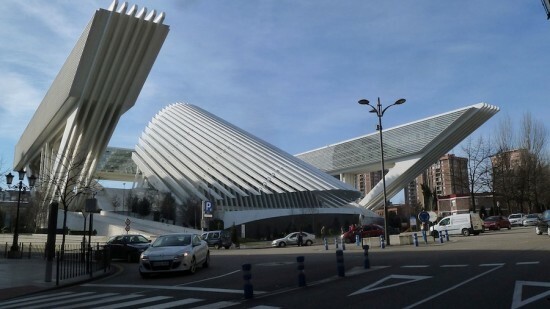 But a series of hush-hush meetings and closed-door negotiations lead the Port Authority to write a check to Calatrava some months later, the official explanation being that they viewed his designs to compare them with their own. Funnily enough, Calatrava was not happy with the windfall. He asked for almost $3 million and would not give consent for the Port Authority to use the rights for the plans otherwise. Stalemate? It would seem so. $500,000 is the maximum amount the agency can spend without submitting the allocation to a public vote by governor-appointed commissioners. Voluntary Prisoners: Navy Pier competitors at the Museum of Contemporary Art Chicago. As our team moved steadily forward to the final round of the Navy Pier redevelopment competition in 2011, I began to question why any architects, landscape architects, or engineers would put up with such an arduous ordeal for the limited promise of somewhat uncertain rewards. These words come with all due respect to my collaborators, colleagues, and the competition organizers. And in the spirit of full disclosure, I also admit that my newly founded practice benefited from the public exposure, and even somewhat financially. The experience left me with lingering concerns about how not just emergent practices, but also the leaders of our profession have become captive to the systematic exploitation of design competitions. This is not a critique of the small-scale ideas competitions that young architects enter with the hope of a small prize or perhaps even a boost to their careers. This is about the high-end contests reserved for prestigious and large-scale projects, which tend to require substantial qualifications just for the privilege of entry. My concern grew into alarm after viewing presentation videos from last year’s competition for 425 Park Avenue with Rem Koolhaas, Zaha Hadid, Richard Rogers, and Norman Foster. The schemes they presented were unremarkable by their own lofty standards. OMA’s project was particularly disappointing given Koolhaas’ status as the preeminent living theorist of the Manhattan skyscraper. 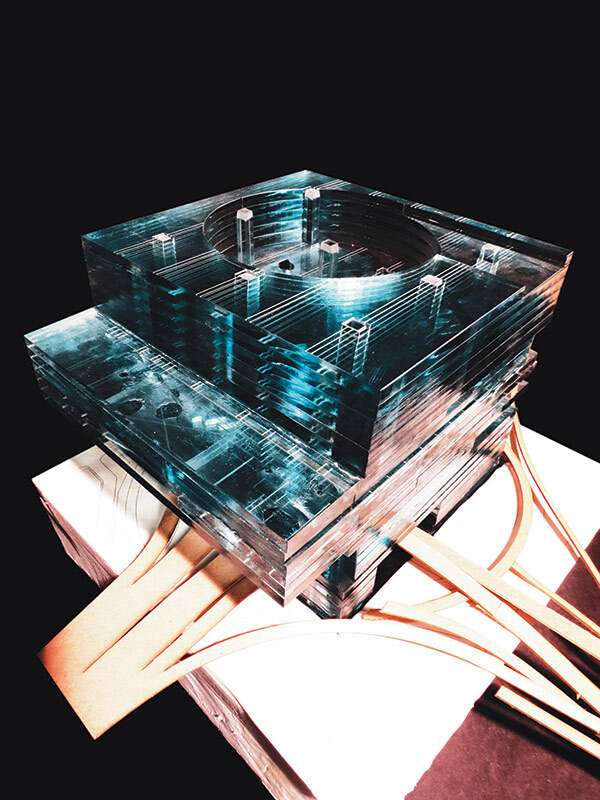 Based on three stacked and rotated cubes, their proposal retreated to a simplistic formalism that lacked any of the challenging narrative or internal programmatic complexity we have come to expect from the best of OMA. One could counter that the constraints of the office building type limited the architects’ ability to innovate. Perhaps. But if that were the case, then why stage the competition at all? The recent competition for the Prentice Hospital site in Chicago also produced less than compelling results and should raise similar concerns, even without the imported celebrities. 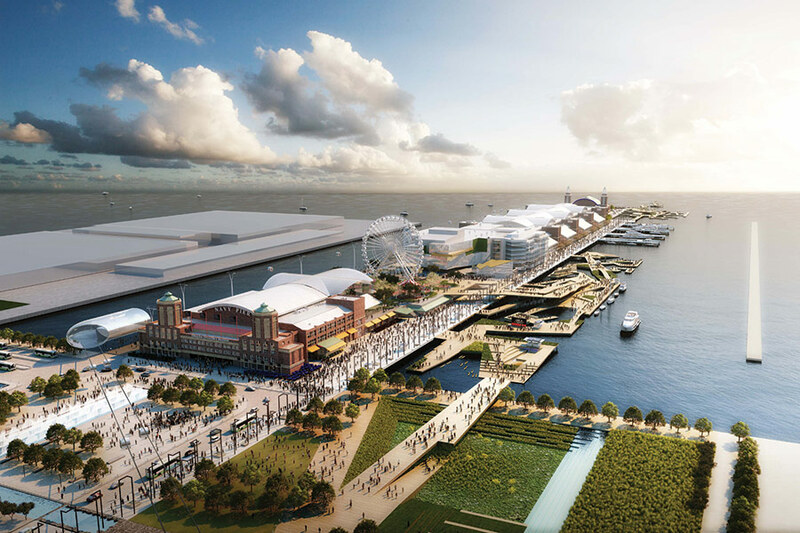 Navy Pier competition entry by Marshall Brown Projects, Davis Brody Bond, Martha Schwartz Partners, and Halcrow Yolles. OMA’s entry for 425 Park Avenue may be symptomatic of an increasingly common condition. The bluntly stacked and rotated cubes seemed reminiscent of some of the recent production of Bjarke Ingels Group (BIG). Of course, Ingels is an OMA alumnus, and this is not an accusation of plagiarism. But it seems that BIG’s success in several U.S. competitions, including the Kimball Art Center (winner), Brooklyn Bridge Pier 6 (winner), Navy Pier (finalist), and St. Petersberg Pier (finalist), seems to be effecting the broader field even when they are not in the game. The simple diagrams, surreal formal effects, and easy imageability of their work has forced some of their more established competitors to enter an arms race of gigantic object-scapes. For example, Michael Maltzan Architects, a practice known for works of wonderful subtlety, actually trumped BIG’s looping “Wave” with its own gigantic bowl shaped “Lens” in the St. Petersberg Pier competition. Maltzan’s proposal has since then fallen victim to an unsurprising combination of budget cuts and local politics. Coincidentally, BIG’s winning proposal for the Kimball in Utah seems to be heading in a similar direction. Monumental victories easily turn into monumental targets after the high of the competition has faded. Hindsight suggests that those of us who competed against BIG at Navy Pier may be fortunate that none of our monumental proposals enticed the jury, which chose James Corner Field Operations’ more restrained proposal, the first phase of which is already under construction. Despite such exceptions, the evidence is building and the case becoming clearer: The competition industry in the U.S. is having equally as bad or worse effects on the conception of architecture than we already know it has on the business of architecture. The old argument that competitions drive architectural innovation is no longer credible. Developers, cultural institutions, and government agencies have mastered the use of design competitions as publicity campaigns. Their claims of searching for the best ideas is just an alibi that unfortunately continues to seduce too many of our best talents. These drawn out exercises also make very little practical sense when it should be easy enough for clients to choose between architects as distinct and established as the group assembled for 425 Park Avenue by picking up a few monographs or even just looking at their websites. The real justifications are simple. Developers and institutions gain fantastic and relatively affordable publicity from the mad traveling circus of design competitions. By helping them attract financing and donors, we encourage the proliferation of these sham exercises where enormous projects are fully rendered without contracts, necessary approvals, or even clear programs. We clearly have an addiction to architectural competitions, but there is always hope for rehabilitation. While too many senior architects are irreversibly hooked on this mode of practice, the next generation has access to better venues for generating ideas and building our reputations, but we may need to learn some new lessons first. Navy Pier Archipelago Mashup (after Roberto Burle Marx). Architecture students in the 1990s were nursed on the twin triumphs of Bernard Tschumi’s Parc de La Villette in Paris (1982–83) and Daniel Libeskind’s Jewish Museum in Berlin (1988–89). They reinvigorated the old myth that design competitions are how both great architects and great projects are made. We turned a corner a decade or two later with the World Trade Center competition of 2002. 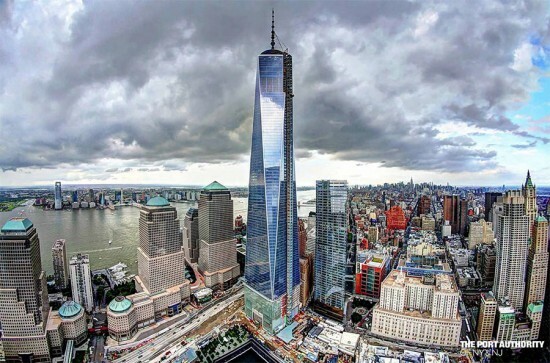 Once Libeskind’s winning design for Ground Zero had been marginalized, one could hardly doubt that the design proposals had never been the real purpose of the WTC competition. But the contest was actually a great publicity machine for the Lower Manhattan Development Corporation, Port Authority of New York and New Jersey, Governor Pataki, Mayor Bloomberg, and Silverstein Properties. Many of the world’s best architects were jonesing to compete, with one conspicuous exception: Frank Gehry declined the invitation and was publicly castigated by Peter Eisenman for criticizing the inadequate compensation offered to the design teams. Mr. Gehry was both admirable and correct in his protest, but trying to explain the financial downside of design competitions to architects is equivalent to explaining the negative effects of heroin to professional users. Eisenman was quoted in a 2007 New York Times article as saying, “To me, when I stop getting invited to competitions is when I quit. That’s what makes me alive.” Not only do many architects not care about the downside of competitions, but we also enjoy chasing the high. The economic arguments will continue to fall on deaf ears, but competitions are also affecting the core values of the profession in ways that should concern us, even when the time and money wasted do not. 200 architects enter, one architect leaves. Unfortunate episodes like the WTC contest demonstrate how competitions encourage the false but common attitude that one architect’s success depends upon another’s defeat. Such an ideology of winners and losers is typical of our neoliberal age and especially effective at breeding animosity among would-be colleagues when the stakes are high. To make matters worse, teams for major competitions have become bloated with collaborating architects and their attending consultants in attempts to appear hyper-qualified. Unfortunately, this can then also cause competition within teams, first for control over the design, and then for bigger shares of the work and fees if they happen to win. And finally, senior architects seem to be competing now against very young firms for minor institutional commissions such as temporary museum installations. These competitions are inevitable money losers for firms of even moderate size, yet they still enter the chase with hopes of publicity or possibly a larger and more profitable commission down the road. I declined to enter, but bore witness to such a contest last year in Chicago. This unfortunate kind of generational warfare stifles innovation by making it increasingly difficult for more new voices to enter the field. Heroic myths forgotten, we should recognize that the best competition winners—and also rans—from recent architectural history tend to have been the products of research that was developed over time and in advance of the contests. Before winning Fresh Kills and the High Line, James Corner had already researched, drawn, and written Taking Measures Across the American Landscape (1996). 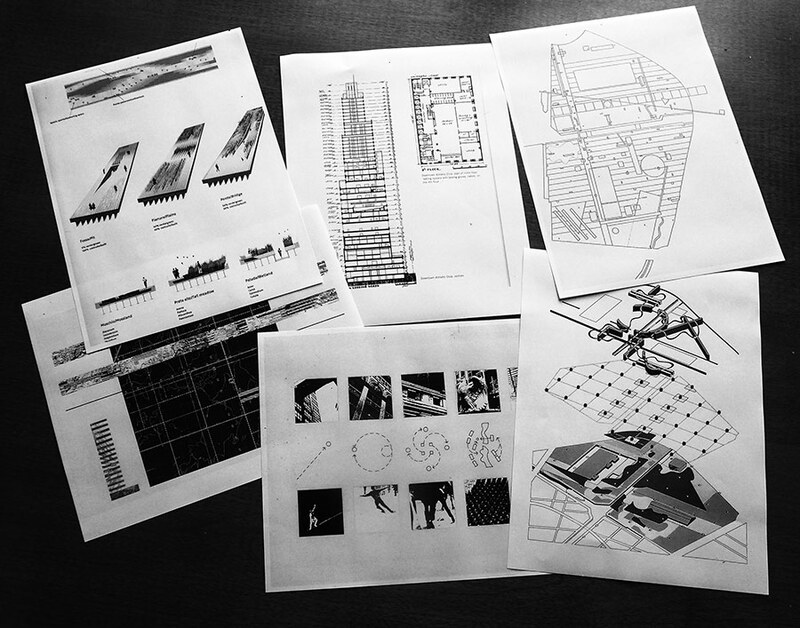 Before their famous La Villette entries, Bernard Tschumi had already conjured the Manhattan Transcripts (1976–81) and Rem Koolhaas had written Delirious New York (1978). Fortunately for all of us, today’s emergent practices have a robust network of resources and institutions dedicated to supporting the production and publication of speculative work. These include research universities, galleries, peer-reviewed publications, as well as a growing assortment of fellowships and residencies. Unlike competitions these creative and intellectual programs tend to hold collegiality and mutual support as core principles. Obviously there are more efficient, gratifying, and cost-effective ways of nurturing our practices than participating in competitions. Yet here I emphasize the seemingly less obvious fact that the same holds true for the quality of our work. In the same New York Times article Thom Mayne answered, “I’m not sure how you’d replace it,” when asked what to do about the architectural competition system. Old addictions die hard, but for the next generation I offer a New Year invitation to join me in rehabilitation. The course of treatment is simple: early, complete, and permanent retirement...from architectural competitions. HOK's design for LG Electronics USA. 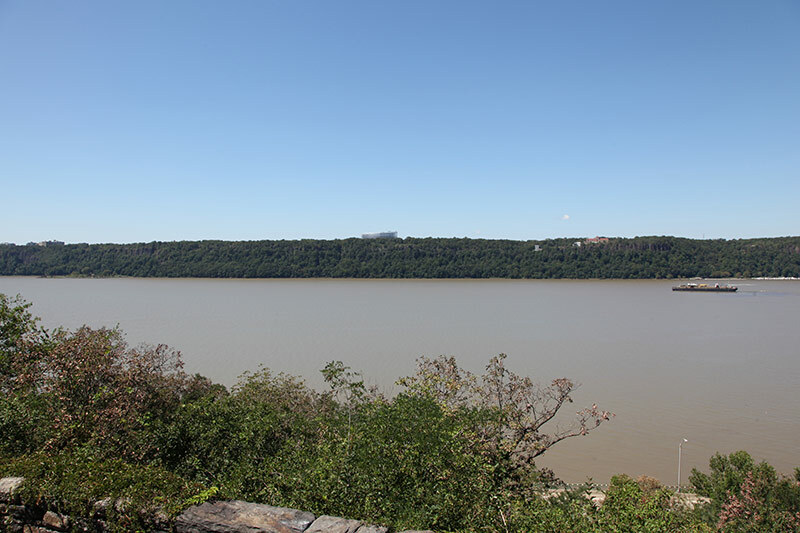 For nearly 75 years, the view from the Cloisters—a branch of the Metropolitan Museum of Art in northern Manhattan—overlooking the verdant cliffs of the Palisades in New Jersey, has remained unmarred by new development. 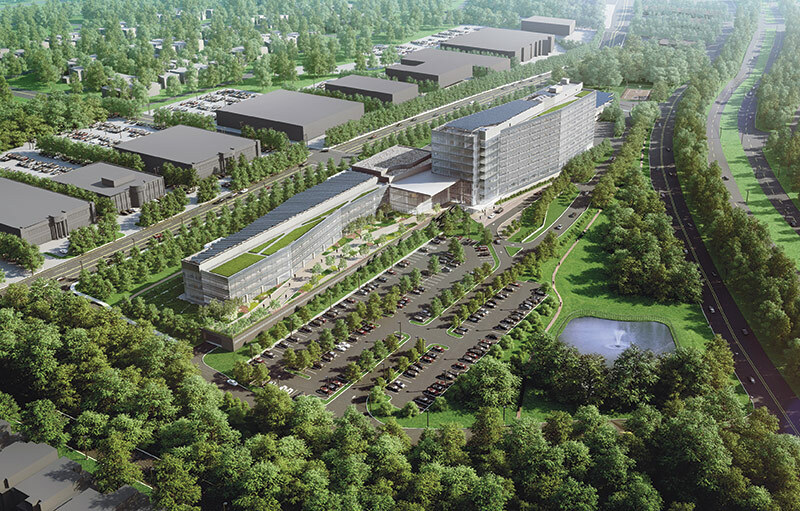 Now the silhouette of LG Electronic USA’s 8-story headquarters will likely extend above the tree line and permanently alter the natural landscape. After a hard-fought legal battle by community members and environmental groups, the court has ruled in favor of LG’s plans to build an 8-story HOK-designed office complex, giving the company the green light to move forward with construction on the 27-acre site. 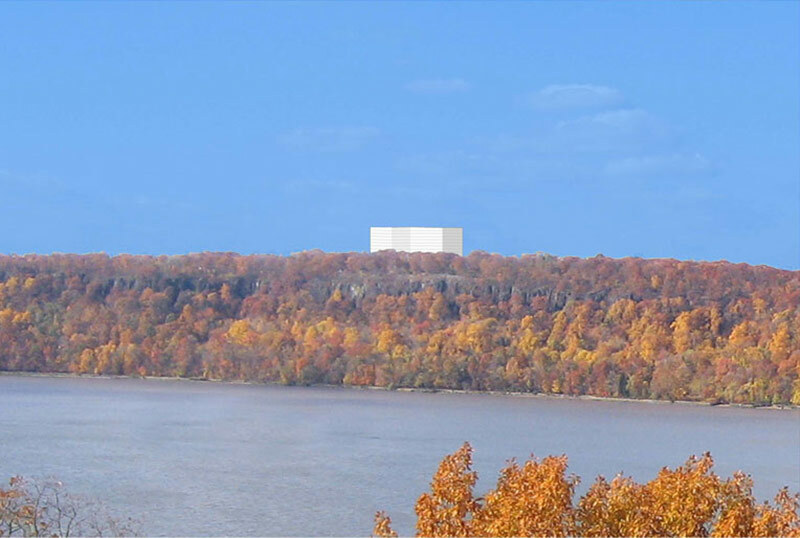 Critics, public officials, and advocacy groups have been calling on LG to consider a redesign of the 143-foot high building that they say wouldn’t interfere with the historic vista. Officials at LG, however, have stated that their opponents have exaggerated the scale of the building, which is being designed by HOK. Two Englewood residents filed a lawsuit in March 2012 contesting the decision by Englewood Cliffs Zoning Board of Adjustments to grant LG a variance change to exceed the 35-foot height limit in the area. Several groups, including Scenic Hudson, the New York-New Jersey Trail Conference, and the New Jersey State Federation of Women’s Clubs, came to the aid of the litigants this winter to provide legal support and guidance. The two opposing parties had initially attempted to settle this dispute outside of court with the help of a mediator, but negotiations failed after several meetings. Wednesday, the National Trust for Historic Preservation released its 2013 list of "America's Most Endangered Historic Places" made up of cultural landmarks, historic houses of worship, civic spaces, derelict industrial structures, and a significant waterway. For twenty-five years, the National Trust has launched campaigns to save historic structures and places in regions across the United States—many of which are vulnerable from years of neglect or the threat of demolition. In a press conference over Twitter, President and CEO Stephanie K. Meeks explained the impetus for including these specific sites: "It's always a tough choice, but we evaluate on significance, urgency of threat, and possible solution." The designation, Meeks said, is a tool for drawing attention to places "in a national context of significance" that might otherwise go unnoticed. This year's motley list includes the likes of Gay Head Lighthouse in Martha's Vineyard and San Jose Church in Puerto Rico built in 1532. Abyssinian Meeting House Portland, Maine From the National Trust: Built in 1828, the Abyssinian Meeting House is a modest house of worship with great historic significance to the people in Maine. Serving as a school for African-American children, community center, and a stop on the Underground Railroad, the Abyssinian is the third oldest-standing African-American meeting house in the United States. Astrodome Houston, Texas Architect: Hermon Lloyd & W.B. Morgan, Wilson, Morris, Crain & Anderson From the National Trust: As the world's first domed, indoor, air-conditioned stadium, the 18-story multi-purpose Houston Astrodome was deemed the "Eighth Wonder of the World" when it opened in 1965. It is a marvel of modern engineering, and was designed to embody Houston’s innovative, entrepreneurial and space-age development as a major U.S. city. The Astrodome was home to Major League Baseball’s Houston Astros and the National Football League's Houston Oilers for many years, and also played host to numerous other notable events, from the "Battle of the Sexes" tennis match between Billie Jean King and Bobby Riggs in 1973, to the Republican National Convention in 1992. Without a viable reuse plan, the Astrodome will likely succumb to calls for demolition. Chinatown House Rancho Cucamonga, California From the National Trust: It was built from local materials in a vernacular style in 1919 and was designated a City Landmark in 1985. The two-story brick building provided housing and a general store for a community of approximately fifty Chinese American laborers. Today, the house is one of the last tangible connections to the history of the once-thriving Chinese American community that helped build modern-day Rancho Cucamonga. Gay Head Lighthouse Aquinnah, Massachusetts From the National Trust: Gay Head Lighthouse was the first lighthouse built on Martha’s Vineyard and one of the first in the U.S. to receive a first order Fresnel lens in 1856. 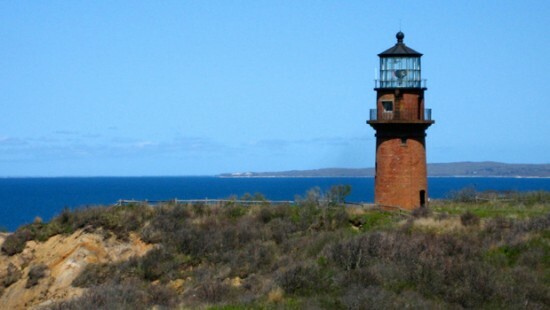 Many men in the Aquinnah community, including members of the Wampanoag tribe, worked at the lighthouse. Standing atop the National Natural Landmark Gay Head Cliffs, the lighthouse serves as a beacon to Wampanoag tribal heritage and is the only lighthouse with a history of Native American Lighthouse keepers. The lighthouse is in immediate danger of toppling over the edge of the Gay Head Cliffs, a consequence of a century of erosion and the direct impact of climate change. The lighthouse is 50’-60’ from the edge of the cliffs and about 10 feet away from losing its future. The rate of erosion is about 2 feet per year, and that rate can be accelerated by significant storms. It is estimated that in two years, or less, there will not be enough land left to accommodate the machinery and equipment needed to move the tower. Historic Rural Schoolhouses of Montana Statewide From the National Trust: The state of Montana has long had an abundance of historic, rural schoolhouses—for decades, the state has held the distinction of having more one-and-two room schoolhouses still in operation than any other state, and at least one of these iconic schoolhouses can still be found in each of Montana’s 56 counties. Montana families that farmed the land in the 19th and 20th centuries relied on these rural schools to educate their children, as the vast distances between towns made it impractical to travel to schools in population centers. In recent years, the state’s population has become increasingly urban, as residents have left rural areas of the state for larger population centers. As Montana’s rural areas lose population, the enrollment in rural schools has also shrunk, rendering many of these schools underused or closed altogether. Montana schools, once the centers of community life in rural Montana, now face the kind of physical threats that can afflict any building that is not being maintained or used, including neglect, vandalism, and exposure to harsh weather conditions. James River James City County, Virginia From the National Trust: Jamestown, America’s first permanent English settlement, was founded along the banks of the James River in 1607. Today, visitors trace early American history and the exploration route of Captain John Smith on the only historic National Park Service water trail – the Captain John Smith Chesapeake National Historic Trail. Carter’s Grove, Jamestown Island, Colonial National Historical Park and the John Smith Trail all provide visitors with a unique experience of the area’s history. Kake Cannery Kake, Alaska From National Trust: Located in a remote village in Southeast Alaska, the Kake Cannery is one of the only canneries in the United States listed as a National Historic Landmark. It is a large complex comprised of several wooden buildings situated on land held in trust by the Organized Village of Kake (OVK), a federally recognized Native American tribe. Kake Cannery played a key role in the development of the Alaskan salmon-canning industry during the first half of the 20th century. The cannery attracted workers from many foreign countries, and was notable for its multi-ethnic—yet segregated—workforce. Now, the departure of the canning industry has left Kake Cannery to an uncertain future. Two of the three main cannery buildings have recently collapsed due to high winds and heavy snow loads, and other buildings in the complex are deteriorating rapidly. Immediate action is needed to stabilize and reinforce the structural systems of the existing buildings. Mountain View Black Officers’ Club Fort Huachuca, Ariz From the National Trust: Mountain View Black Officers’ Club was built in 1942 and remains one of the most significant examples of a World War II-era military service club in the United States built specifically for African-American officers. The military, in response to “separate but equal” laws of the early 20th century, began a large-scale effort at Fort Huachuca army base to build barracks, hospitals, maintenance structures, offices, warehouses and recreational facilities, all of which were segregated and in many cases built in duplicate. During its operation the Mountain View Black Officers’ club hosted top performers and dignitaries such as Lena Horne, Dinah Shore and Joe Louis. Today, The Mountain View Black Officer’s Club faces demolition by the U.S. Army, which has threatened to place it on an active disposal list. San Jose Church Old San Juan, Puerto Rico From the National Trust: Old San Juan's San José Church was built in 1532, a century before the Mayflower settlers established the first permanent colony in New England. One of the few surviving examples of 16th century Spanish Gothic architecture in the Western hemisphere, the building displays four centuries of architectural design and masonry traditions including the extraordinary Isabelline Gothic vaults, a rare Catalan architectural design. Village of Mariemont Cincinnati, Ohio Architect: John Nolen From the National Trust: One of America’s most picturesque communities, the Village of Mariemont is a National Historic Landmark designed between 1921 and 1925 by renowned landscape architect and community planner John Nolen. Considered one of America’s most important examples of town planning, it was named a “Top 10 Great Neighborhood in America” by the American Planning Association in 2008, and its elegant layout continues to inspire planners and designers to this day. Now, the Ohio Department of Transportation is proposing a major transportation project that would significantly impact the Village, including a possible elevated highway through its southern border. In addition to disrupting Mariemont’s design, the proposed transportation project would also impact other natural and cultural resources, including the nationally designated Wild and Scenic Little Miami River valley, a freshwater aquifer, and Native American archaeological sites. Worldport Terminal at JFK Airport Jamaica, New York Architect: Ives, Turano & Gardner Associated Architects and Walther Prokosch of Tippets-Abbett-McCarthy-Stratton From the National Trust: Opened in 1960, Worldport Terminal at JFK Airport, known for its flying-saucer shape, symbolizes America’s entry into the Jet Age and has been featured in several Hollywood films. The first commercial flights of the Boeing 707, the first “modern” jetliner, departed from the Terminal. 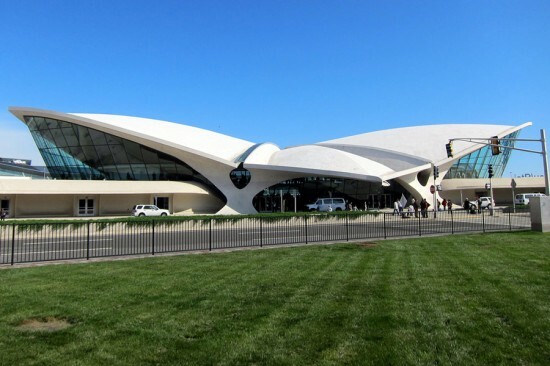 In May 2013, Delta Airlines ceased operations from the Worldport Terminal, since renamed Terminal Three, and current plans of the Port Authority of New York/New Jersey call for the demolition of the iconic structure. Alternatives to demolishing the Worldport include demolishing the south concourse instead and using Worldport as a connecting facility between Terminals Two and Four, as a dedicated or premier terminal or as an independent building open to the public containing a museum, restaurants, shops, aircraft observation space, airport employee daycare or other purposes.